Photo by Rubin 110 from our VV Flickr pool. 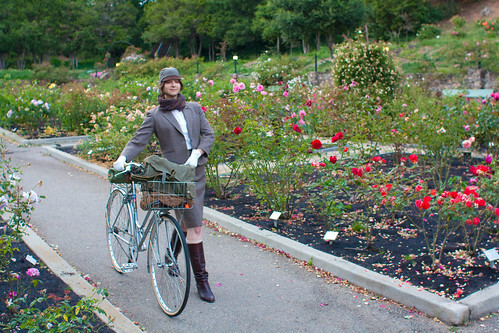 I'm looking forward to the next SF Tweed Ride on September 16th! is this at the Rose Garden?? Love the blog! Seriously cute! Awesome shot! Never heard of the tweed ride before. Looks like a rose garden to me! Tweed is the way to go! I may just have to get my newish wool skirt altered by then... I knit my own for the last SF ride. AJ - you sucha crafty gal! Whatever y'all choose to wear, make it tweed and come out for the ride!